Wallace Fowlie in 1968. From the University Archives Photograph Collection. “Cleaning my apartment,” wrote Wallace Fowlie (1908-1998) in his memoir Aubade, “means discarding each week an object, a book, and even a notebook that has served its purpose.” In other words, the influential Duke faculty member destroyed many of his own manuscripts. Still, something of Fowlie’s archive was recovered from his Durham home at Valley Terrace Apartments and survives in the Wallace Fowlie Papers, a modest collection of his correspondence and later manuscripts. 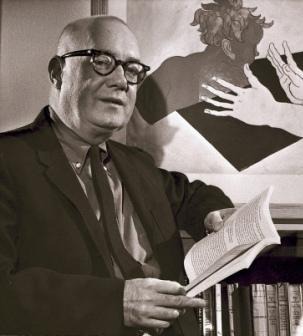 Fowlie arrived in Durham in 1964 and taught French literature at Duke until his death in 1998; he was named the James B. Duke Professor of French in 1968. Fowlie is best known for his critical readings and translations of Rimbaud, Baudelaire, Cocteau, and other French writers. The Wallace Fowlie Papers include highlights from his correspondence, such as letters from Jean Cocteau, Anaïs Nin, and other important literary figures. 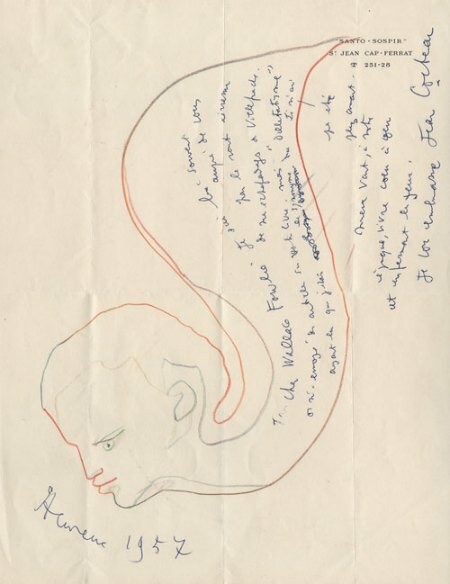 Letter from Jean Cocteau to Wallace Fowlie, 1957. From the Wallace Fowlie Papers. Two spiral notebooks—apparently the only notebooks not discarded by the self-described “eccentric” scholar—contain Fowlie’s notes on Marcel Proust, Dante, and other writers. Most notable, perhaps, is Fowlie’s personal reminiscence of his relationship with the novelist Henry Miller. For further details about the Wallace Fowlie Papers, consult the collection’s finding aid or contact RBMSCL staff. Post contributed by David Pavelich, Head of Research Services.